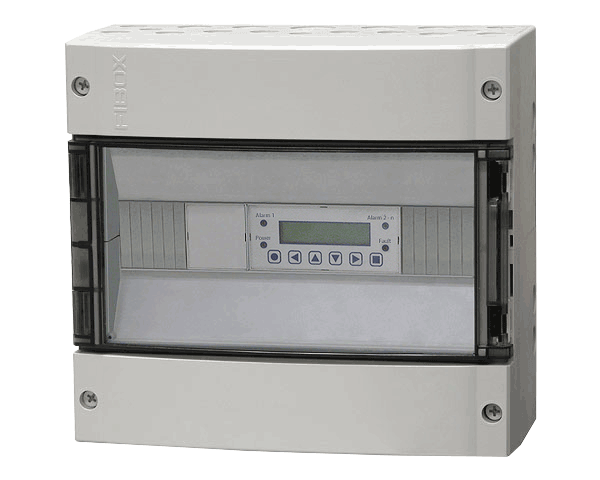 With advanced hardware and software diagnostics and certification to the rigorous EN 50545-1 international standard for parking garages and tunnels, the DGC6 redefines best-in-class performance for safety, reliability and energy efficiency. The DGC6 controller operates in conjunction with DT6-, DR6- and DC6- sensors and sensor / controllers to provide cost effective solutions for any project. These EN 50545-1 certified field devices utilize advanced, self-diagnosing X-Change technology for maximum reliability and minimum life-cycle cost. The addition of trunk repeater modules allow for flexible communication bus and power distribution routing. Max. 16 analog outputs (local plus remote), 4-20 mA, with scalable signal output, supervised, for service mode, system or sensor faults, etc.